These days zealots of every stripe treat cultural cross-pollenisation as mongrelisation. Ray’s achievement rested on moviemaking artistry that was universal as music. – Michael Sragow. It has been said that part of the bequest left to post-independence India by Nehru’s flawed leadership (1948-64) was a strong secular and humanist approach not only to politics but also to the country’s rich culture and controversial past. Satyajit Ray encapsulated this ethos. He burst upon the national and international stage with the release of his masterwork Panther Panchali (The Song of the Road) in 1955, the year of the famous Bandung Conference in Indonesia. The conference was largely attended by the leaders of newly independent countries from Asia and Africa who wanted to pursue a path free from the influence of United States of America or the Union of Soviet Socialist Republics. One of the more confident practitioners of this policy was Nehru’s India. 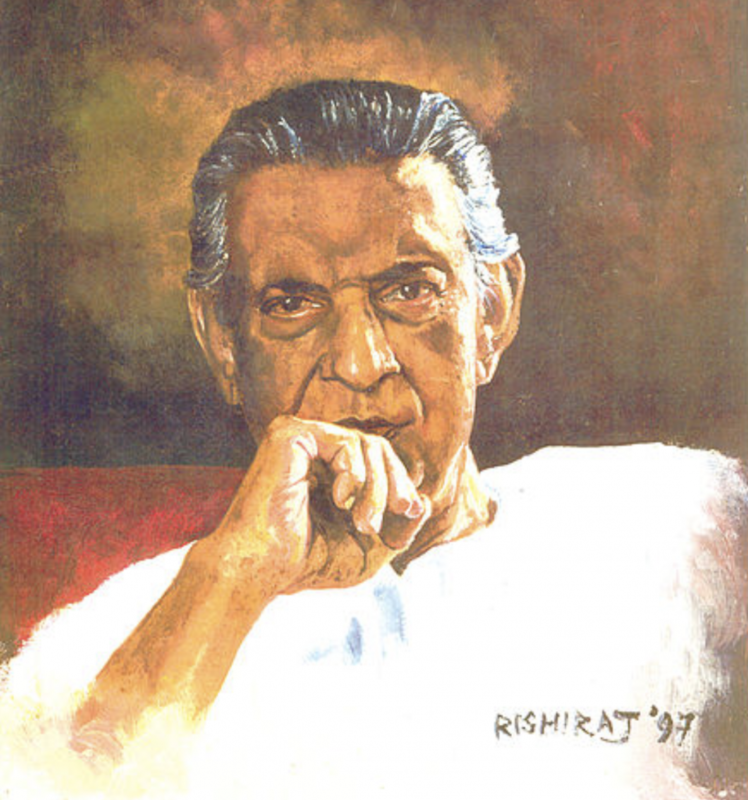 Ray came from an artistically distinguished Bengali family and had been working in the advertising industry when the eminent director Jean Renoir began filming Rumer Godden’s largely autobiographical novel The River in 1950. Ray was not involved in the making of the film, but he observed Renoir’s techniques – shooting on location, the use of natural light and the mixture of professional actors and amateurs, all reflecting Renoir’s humanist principles. Ray had been an ardent admirer of Italian neo-realism, especially De Sica’s poignant Bicycle Thieves made in 1948. He not only felt an affinity with its tale of ordinary people but felt that the myriad small observations of actual life would be the best way to capture the essence of Bibhuti Bhusan Bandyopadhyaya’s novels – Pather Panchali and Aprajito (The Unvanquished) – in cinematic terms. 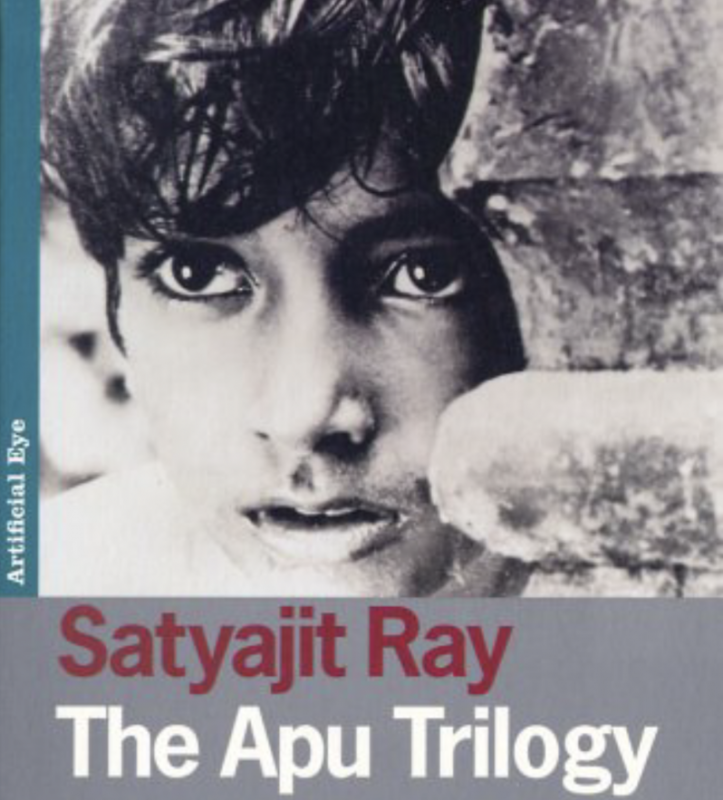 Ray made a trilogy of these books – Pather Panchali (1955), Aprajito (1956) and Apur Sansar (The World of Apu) (1959) known as The Apu trilogy. Renoir’s film The River was also about growing up, shedding childish and adolescent notions for the more fraught one of adulthood. Renoir’s cinematic eye, with fluid use of the camera and natural light, perfectly captures the bustle and noise of Indian life, dominated here by the rhythms of a great river, and also shows us the lives of privileged whites with their dramas and squabbles. 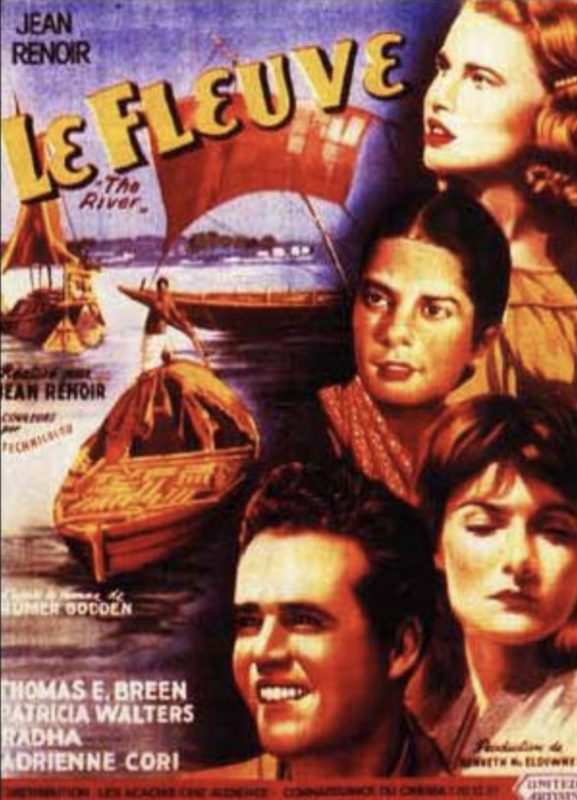 Unlike other European and American films about India which gave us racist stereotypes, patronised Indians or romanticised them, The River allowed Indians to exist as human beings. But there were limits: their roles were still those assigned to them by European imperialism: faithful retainer, a fussing and bustling nanny, handsome young brown-skinned people whose role was to support the Europeans in the narrative or add exotic spice. They were never allowed to be the in the centre of the narrative or have an interior life. They were ironically an improvement on the stereotypes the expanding Indian cinema was perpetuating in the 1950s: films full of colour, song, movement and strident melodrama which ignored the way people actually lived. 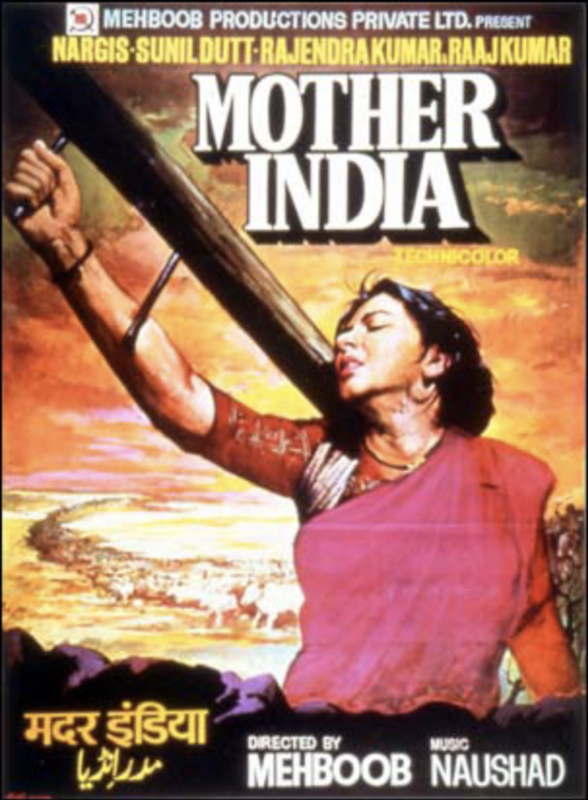 The perfect example was the 1957 film by Mehboob Khan – Mother India. Nothing that was real about India was allowed to enter the frame. It was shot like a Soviet social realist film, full of struggling peasants toiling in the fields, dancing and singing, Stakhanovite icons whose halos are farm machinery, where stoic virtue triumphs. It set the template. Ray’s trilogy gently, insistently and quietly rejected all the these stereotypes and humanised the lives of people who were till then invisible. He did this by shooting as much as he could on location, capturing the Indian landscape in all its moods. The sound of birds and other animals is allowed to permeate the soundscape. Props and sets are meticulously built to reflect what was shot outdoors. Ray’s cameraman Subrata Mitra developed a technique called ‘bounce lighting,’ an innovation which allowed light to reflect of a piece of cloth to recreate daylight on a set. The music was sparse and classical: the use of traditional musical instruments was essential to convey the emotional tone of a scene. He was ably helped by his co-composer Ravi Shankar: between them they created lilting and haunting scores. 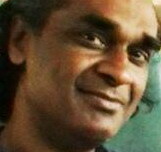 Another innovation was his astute use of a classical Indian technique for conveying emotions, called Rasa. This is most evident in Indian classical dance where hand and eye movements convey emotion in a highly stylised way. Ray used this technique wonderfully in key scenes in his trilogy. The Apu trilogy is set in the 1920s, a period where the Independence struggle was propelling the country headlong into modernity. From this sprang debates about the place of tradition. The trilogy incorporates all this in its drama, with death punctuating the importance of tradition. Modernity was encapsulated by the steam engine, its black plumes and piercing whistle announcing the new secular India and its attendant uncertainties. These universal themes are firmly rooted in the rituals of a poor rural Brahmin family. Pather Panchali was filmed over a period of four years and initially filmed over weekends. At first it was mostly funded by Ray, and eventually by the state government of Bengal to the tune of $3,000. The government thought they were financing an uplifting tale of rural life in Nehru’s India. We are immediately drawn inside the life of the family and their neighbours. They live in a dilapidated rural house full of crumbling masonry where life is conducted in the courtyard or on verandas. The women do all the work, the young boy plays and the father, an ineffectual man, is absorbed in his writings and makes a precarious living as a priest conducting the various ceremonies that are essential to a Hindu family and community. The house is surrounded by an orchard and a forest. Tradition is encapsulated by the old aunt, portrayed by Chunibala Devi. She was eighty years old at the time and had been an actress in her younger days. Ray discovered her living in a brothel and at this stage she could only function if she got her daily dose of opium. She gave us a haunting performance, hair shorn to the bone, a toothless grin and bent double. Her possessions, like her clothes, are sparse and threadbare. She is full of the joy of life and a calm acceptance of its vicissitudes: when she is forced to leave the family home, she accepts in silence and almost ghost-like shuffles out of their lives. The mother, beautifully played by Karuna Banerjee, is always toiling, preparing meals, cleaning, caring for the children and trying to keep home and hearth alive against insurmountable odds. The loveliest performance comes from Uma Dasgupta playing the teenage Durga; whenever she flits across the screen the luminosity of her performance bewitches us. She is no paragon of virtue; she is neither stoic nor obedient, but full of mischief and the energy of life. Nature is beautifully captured within the rhythms of family life, sunlight heightens the drama that is unfolding, and dusk captures the silence and poignancy of their lives. Monsoons in the Indian context are harbingers of fertility and death. In a pivotal scene when Durga catches a chill and eventually dies the limits and strength of tradition are beautifully presented. The doctor offers herbal remedies and tablets which are of no help. The wind blows, the rain slashes the bricks and pounds the roof; the shrine to Ganesh is skewered in the maelstrom, and he gazes impotently at the tragedy about to engulf the family. At the same time the traditional family unit provides the love that has wordlessly enveloped the children. One of the wondrous sequences in international cinema is when Apu first sees a train hurtling past. We initially see the train as a small plume of smoke, with Apu and Durga running through the windswept long grass. Gradually the train hurtles past us like a shiny emblem of the new secular India. Apu is entranced as we are. Aparajito (The Unvanquished), made in 1956, shows the complete cinematic mastery of Ray and his team. We are immediately ushered into the action: the camera fluidly shows Apu exploring the ghats (steps leading to the river) in the city of Benares where priests chant and their disciples dutifully respond; the dead are ritually burned; devotees purify themselves in its ‘holy’ waters, and wrestlers do their daily exercises. We see the mighty Ganges with boats framing the majestic ghats, temples and palaces. Apu’s house is close by and is reached by narrow alleyways teeming with life and obstructive cows. Life is precarious and the family lives just a level or two above penury. Apu’s father has got himself a niche at the ghats where he can follow the rituals of a pious Hindu and earn a living as a priest. Again death disrupts the family with the sudden death of Apu’s father, who is played to perfection by Kanu Banerjee, with his innocent myopic eyes peering out at a world he does not understand or appreciate. He has a distracted equanimity which is both irritating and charming. 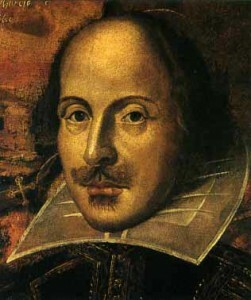 The suddenness and capriciousness of his death is in keeping with his character. Apu rejects his karma, which is to be a priest, and opts for a secular education, which his mother reluctantly accepts and supports. 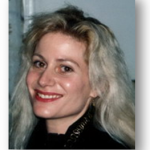 Literature, poetry and the excitement of being an urban intellectual beckon. Calcutta is beautifully rendered on screen. Its faded architectural classicism is lovingly presented on screen. Behind its faded facades are poky rooms where many a family and individual live in varying degrees of genteel poverty. This contrasts with the grandeur of the memorial to Victoria and its spacious lawns, where half the middle class population of Calcutta was intellectually and occasionally carnally conceived. With the death of his mother, which is movingly depicted, Apu rejects village life and tradition and embraces the joys and terrors of an urban secular life. Pather Panchali was distinguished by its lyricism, Aparajito by its austere cinematic palette, Apur Sansar is suffused with romanticism. Apu is a young man trying to make his way in the world but the work available to a Bengali intellectual is menial and the money meagre. Yet he endures. The emotional arc of the movie changes when he meets his college friend, who invites him to wedding in the country. He has his first full meal in days, his feel for and buoyancy of life returns. On their walk home he starts to declaim poetry, with his friend joining in. Bangla is a lovely language full of nuances, hidden meaning and lilting intonations. The camera does not try to follow the soaring poetry and the lighting is suitable subdued – Ray allows the human voice to convey it all, and Soumitra Chatterjee, playing Apu, wonderfully conveys this, his handsome face in the flickering light like a luminous Byzantium icon of some unknown saint. This emotion is heightened at the wedding. Again the limits of tradition are there for us to see. The wedding is an arranged marriage between upper class Indian families with all the attendant rituals, splendour and religious cant. But there is a serpent in the tail – the bridegroom is deranged: the tragedy for the family is that their daughter has to be married on this particular day, as the priests have told the family it is the most auspicious. Meanwhile Apu is asleep under a tree near the river. He is asked by his friend if he could be the replacement; he balks at it, but being a decent man agrees. This is all filmed in sweeping takes and is almost perfunctory in its presentation. It changes when we get to see the young pride played by a fourteen year actress – Sharmila Tagore. She is in her wedding finery and we get a close up of her face and her eyes, which as in classical Indian drama convey to us her fear, apprehension, acceptance and curiosity. A modern sensibility might be appalled by the patriarchy on display. Ray’s film persuades us like Schubert’s innumerable impossibly romantic leiders by its emotional honesty. The young couple’s courtship and growing love is beautifully conveyed, whether in the workplace or the domestic rituals of home. So when the young girl dies giving birth we, like Apu, are left bereft. Like other romantic heroes he has to leave and find a space where he can manage his grief. He leaves behind a young son being brought up by his maternal grandparents. The son feels betrayed and is troublesome. His grandfather, a traditional Bengali grandee, can only respond to by threats and corporal punishment. Apu returns bearded and patrician, and the interaction between father and son is lovingly rendered, their love beautifully conveyed in its restraint and what is left unsaid. In the end father and son reconcile and leave, in one of the most emotional sequences put on the silver screen. Ray’s trilogy put Indian filmmaking on the international map and gave the Indian middle class (people like me) a glimpse of India with all its grandeur and limitations that resonates to this day. Ray went on to make many other fine films like The Music Room in 1959, Charulata (The Lonely Wife) in 1965, Distant Thunder in 1973, The Chess Players in 1978, and others. He influenced Indian filmmakers like Mrinal Sen, Shyam Benegal, Guru Dutt and V. Shantram. This new wave of film-making became known as Parallel Cinema – cinema that existed along with and not in opposition to Bollywood. 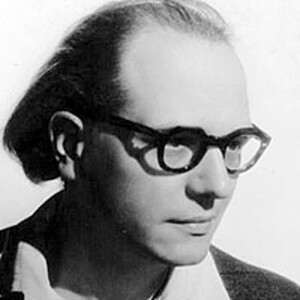 Filmmakers as diverse as Martin Scorsese, James Ivory, Abbas Kiaostami, Elia Kazan and Carlos Saura have made public their debt to Ray and his natural and humanist approach to filmmaking. His influence permeates every frame of Asghar Farhadi’s sublime film A Separation (2011). It can be seen in the use of Tehran and the apartment where two of the main protagonists live; the clash between tradition and modernity; the non-judgmental attitude to the characters; and the natural way the drama unfolds. Like Ray, Farahadi universalises a local culture, and the protagonists’ foibles, frailties and small triumphs are our also. The ‘other’ is banished; we are all human despite our cultural differences. 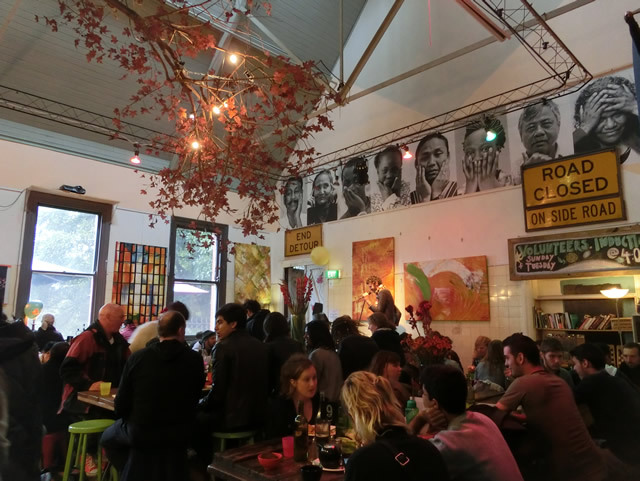 Melbourne has many iconic landmarks but the one that appeals to me most and the one I keep going back to is the vegetarian restaurant Lentil As Anything at Abbotsford Convent. Working on a shoestring budget Lentil is at first glance a sprawling, unpretentious drop-in eatery with a welcoming laissez-faire atmosphere. People of all ages and backgrounds wander in and out with casual dress or bohemian/hip colour and you wonder if you’ve slipped through a worm hole back to the sixties. But this isn’t a lotus eating do little Arcadia. Take a seat and you could soon be conversing with an oncologist from Poland on one side, a Korean ceramic artist on the other and an American social worker in front of you. You are very unlikely to meet such a polyglot, diversified and friendly group of customers or staff anywhere in Australia. It’s a throbbing pool of amorphous yet highly innovative and compassionate individuals. The egalitarianism of the place is astonishing. You might be served tea by a volunteering Ph.D. or a student doing work placement. The philosophy of Lentil is similar to the theme first enunciated by Louis Blanc – “From each according to his ability, to each according to his need”. This ethos has been brought to life against all odds by Lentils founder Shanaka Fernando. Breakfast, lunch and dinner are served throughout the year and those who cannot donate money are never refused Lentils delicious food. There is also live music every evening, everything from Jazz to Japanese folk music. Lentil As Anything is located close to the heart of the city. And it’s in danger of disappearing. The Abbotsford Convent administrators want to scrap Lentil and lease the area out to the highest bidder. Lentil is totally unique but the administrators seem to want replace it with something unoriginal that could be replicated elsewhere. There is a combination of factors that have made Lentil so successful. The venue itself is magically located in the south-east corner of the beautiful French ecclesiastical style Convent. Cloistered between old world charm and the perennially refreshing Convent Gardens it’s a nexus that organically enhances the regenerative ambience of the restaurant. This is a simplification but for the sake of clarity staff and clientele can be divided into three categories. 1) Professionals 2) Those going through transitional phases in personal and/or career paths 3) Future innovators of a global society. It’s the Left Bank meets Woodstock meets Apple Inc. There’s something else that’s special. The idealism of workers and volunteers are paradigms of a dynamic that can save our planet. Today a female manager said to me “Lentil helped me regain the life I lost through family violence and mental illness”. Lentil is surrounded by yoga and healing studios, artist’s ateliers and craft workshops. As well as being a nurturing centre Lentil is part of a healing process taking place on the very location where unwanted young females were once hidden away from genteel society. Girls who had been rejected by their families or had been sexually abused or both were sent to the Convent where they were exposed to a brutal regime under harsh institutional authority. A recent event that may shed light on current Convent administration philosophy is their cursory handling of a request made by survivors of those harsh orphanage years. These women had asked for a modest space in the Convent where they could meet and share their experiences and heal their childhood traumas. The administration said they could – for a price. The chill hand of commercialism dashed their hopes of transcending their poignant shared history. Veiling the past entails the shrouding of the collective memory of unwanted children who lived here as unpaid labour for the Convent. Lentil shelters and trains people who are down on their luck and find it hard to be accepted elsewhere. To deny them this opportunity is to deny all manner of social progress made in the last half century and keep our gaze averted from issues such as burgeoning drug abuse and the fragmentation brought about by family disintegration. To overlook this dynamism would be a grievous setback to Melbourne’s participation in a global awakening and a betrayal of its youth. If this sounds like hyperbole come down to the Convent and have a look for yourself. This space can be used by a small number of people for the financial gain of a few or it can continue to be maintained by a large number of volunteers and workers to serve a huge number of customers and trainees. In theory the Convent and it’s spaces are owned by the general public. In practice you can support Lentil As Anything and add your voice to thousands of others who continue to advocate kindness and empathy. Lentils Abbotsford is a once and future centre for the seeding and flowering of the best in our nature. If it disappears Melbourne will lose a chamber of its heart and a major fragment of its soul. Olivier Messiaen is regarded by many as the most important classical composer of the 20th century. It’s a question of personal taste and temperament of course: we have Shostakovich, the amenable poet laureate of Russian nationalism, Stravinsky, vibrant with early paganism and later neo classicism and there’s Bartok’s folk music inspired originality. There are many other contenders. Well perhaps not, but I thought that would catch one’s eye. But why ask people to have a new look at the Bard, why ask them to take stock of his work and the history of his times and influence? I was away when Fareed Uduman’s paintings first saw the fluorescence of an exhibition, at the Gallery 706 in Colombo. I was then lucky to come across a copy of the book of prints that also include his poems and cartoons. I look forward to seeing the originals at the Lionel Wendt from January 6th, 2012, and if you can also get a copy of the book, you got yourself a good deal. 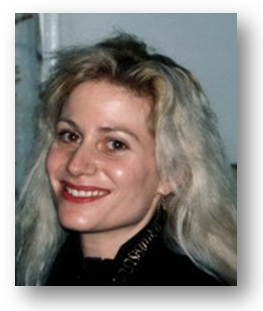 Liz Varrenti was a force of nature. She had a magnetism that attracted your attention even when she was quiet, which was rare. reverberated across the British Empire, investing him with the aura of a folk hero.